Due to continuous advancement in technologies, automobile sector has grown to the large extent in the last few years. It increases the use of racing formula through various car or sports company like motor sport. It is considered as the most popular form of sport in the country. Due to this, Arya College of engineering and IT is organizing a National Level Workshop AIRC-2018 on go-kart championship with Auto India Racing Championship 2.0 including Drivers and captains meet on 16th & 17th January 2018 at Arya 1st Old Campus. The honorable speaker of the event will be Mr. Pratik K. Satav, who is the Convener of AIRC-18. It is a journey that revolutionizes the learning methodology with motto, “Journey starts with passion”. It helps in the encouragement of technical skills of both graduate and under graduate students from different geographical locations. It is known to be one of the best platforms across the nation for the technical students so that they can get the chance or the opportunity to showcase their designing, manufacturing and consolidating talents and skills by applying their knowledge in the automobile sector for the benefit of the masses. This ATV racing event of Automobile Championship provides opportunity to the students for the fabrication of their four wheeled vehicle. This event is an intercollegiate design competition for engineering or technical aspirants. The vehicles are safe, highly engineered and designed with comfort which performs multiple functions at a time. 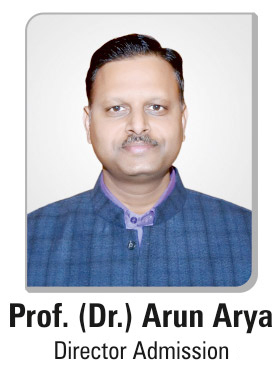 Arya College also focuses on providing a better chance for engineering students to develop their skills and also their stepping stone in automobile sector in India and come up with some innovative designs through this championship league of racing. A proper set of disciple has been planned with several strategies so that participant can put their step further one by one. Rules of the championship will be stated before the competition will start. Students have to tackle real world engineering problems, work in multidisciplinary teams, practice design for manufacturing capability and manage a full product development cycle of life during the entire event or championship. The whole activity will take place with one driver only. Before the beginning of the competition, the vehicle would be evaluated for its design, performance, safety, durability and the teams compete against each other. The cumulative scores of all the events would decide the overall ranking of the teams in the event. This competition will be broadcasted live on the Facebook page.